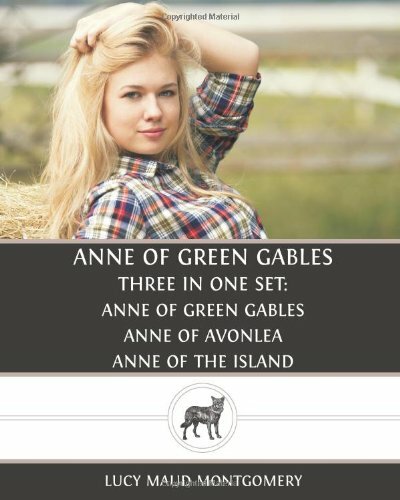 Okay, here’s what they got right: the Anne of Green Gables series does take place in a rural setting, hay is at some points involved, and its protagonist is a young girl (who ages over the course of the series). But while Ann Shirley became renowned for many qualities, I’m don’t think “sly, come hither stare” was among them. And wasn’t Ann Shirley a red-head? And didn’t she live in, and wear the clothing of, 19th century Prince Edward Island? Of course, a cover like this would have less appeal among customers from the heretofore underserved lonely-40-year-old-guys-with-a-penchant-for-children’s-books market. I think I can guess the gender of the person who approved this cover. And I think I can guess that he leaves a moist trail where he moves.